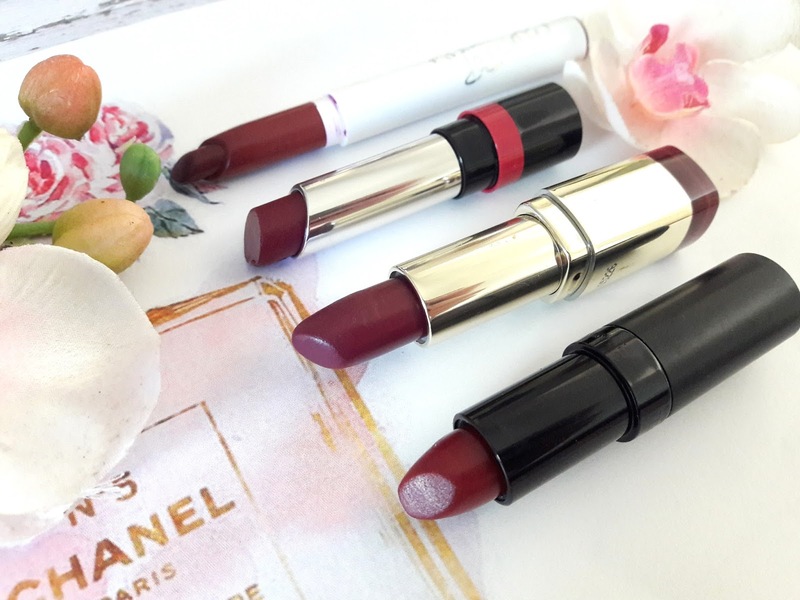 Most probably everyone's fave topic for posts at the moment and mine too, since I love berry and plum shades for fall and these shades suit so well my skin tone. 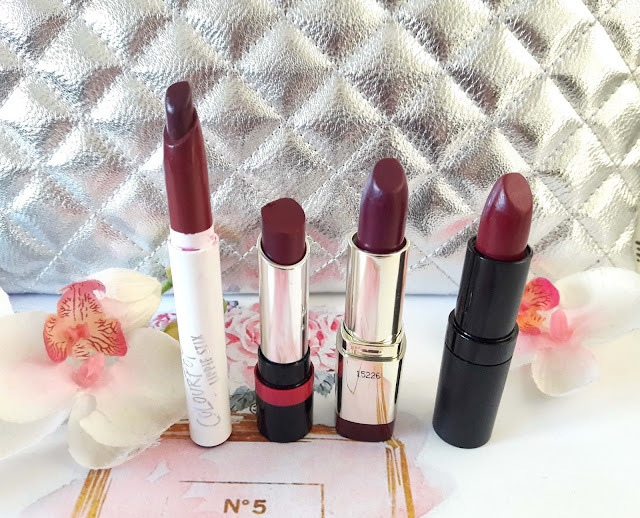 This is the first post of fall lipsticks, I plan to do a couple more but I haven't decided yet if it's going to be only purple/berry/plum/wine shades, maybe I will add a few red or some dark nudes since they are all appropriate for now. I love Colourpop Lippie Stix and I ordered a few more shades which I received this week. 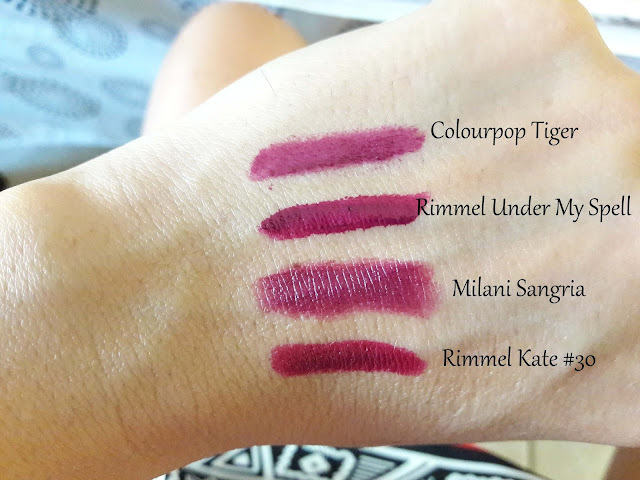 These are budget friendly lipsticks ($5) and they have the most beautiful shades and for this price, they are worth trying them. Tiger is a plum shade that is sheer and lightweight and usually needs two or three swipes to feel rich on the lips. 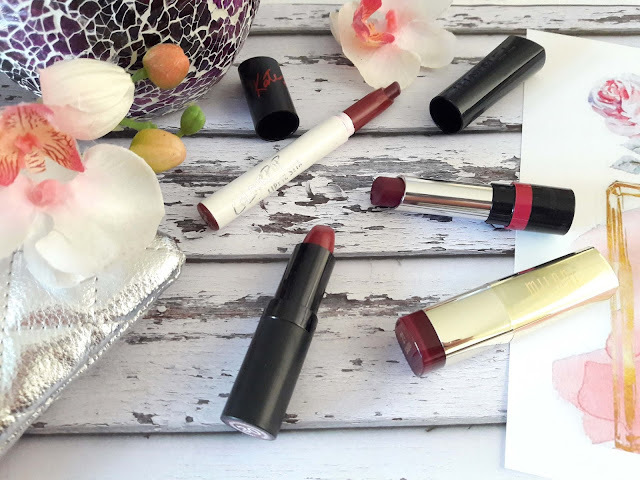 It leaves a lovely shine on the lips but not that glossy and the lasting power is impressive for a creamy lipstick. 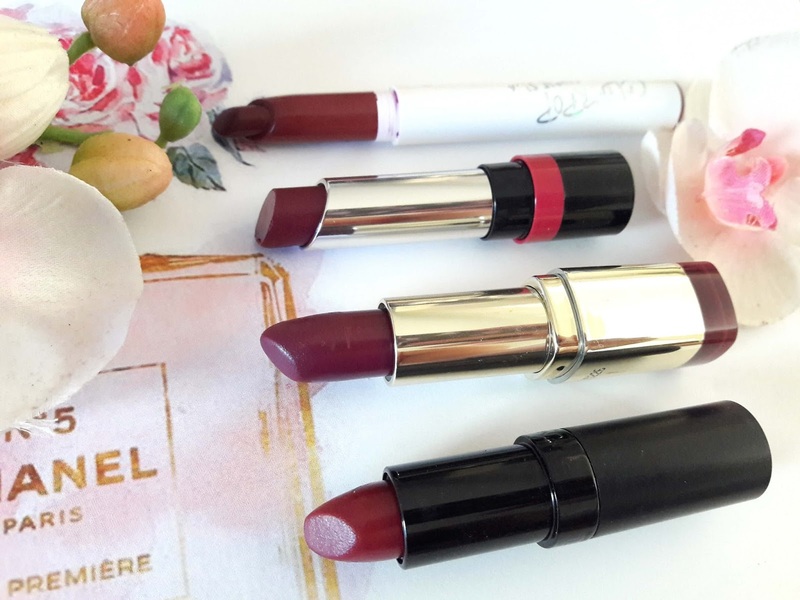 The fact that it is sheer makes it appropriate for every day use without being too dramatic and I have been wearing it at the office too, a beautiful plum shade without the vampy feeling. Love it! The creamiest and the softest formula of this bunch. Under My Spell is a deep berry wine shade and the darkest of the 4 shades, almost vampy shade. Pigmentation is good and leaves a glossy finish, feels moisturising and comfortable on the lips. But it transfers in everything which is a shame and I usually layer it on my lips, but it can be a little patchy if I apply too much. It comes in a black tube and the top of the cap is diamond shaped and the logo of Rimmel London (crown) is engraved on it. Each shade has the exact colour on the outside so it's easier to spot the colour you want. I own two Milani lipsticks and they are both amazing shades, I have been wearing them a lot in the last year. This shade is rich and pigmented but not as creamy as the other three. It looks exactly like the old and famous dark wine shade by Wet 'n' Wild Sugar Plum Fairy and it is said to be a dupe for MAC Rebel. It needs a lip balm underneath since it feels drying on the lips and it leaves a matte finish. Lasts 5 hours on my lips. I love that this lipstick is quite different from all the others and has pink undertones. It looks amazing on and it's one of my fave berry shades I own. It leaves a semi-matte finish and glides smoothly on the lips. In comparison with Rimmel Under My Spell, this one does not feel patchy no matter how many layers you apply, it feels nice on the lips and has a lasting power of 3-4 hours. One swipe gives a pinkish plum shade, two or three swipes give a beautiful deep plum colour. It also leaves a pink stain on the lips and does not last a meal of drink. I wish these lipsticks had names instead of numbers, it makes is easier to remember them and a number makes the lipstick feel cheap, like the brand didn't care and just gave them numbers. I hope you are having a lovely Saturday and I will see you soon!